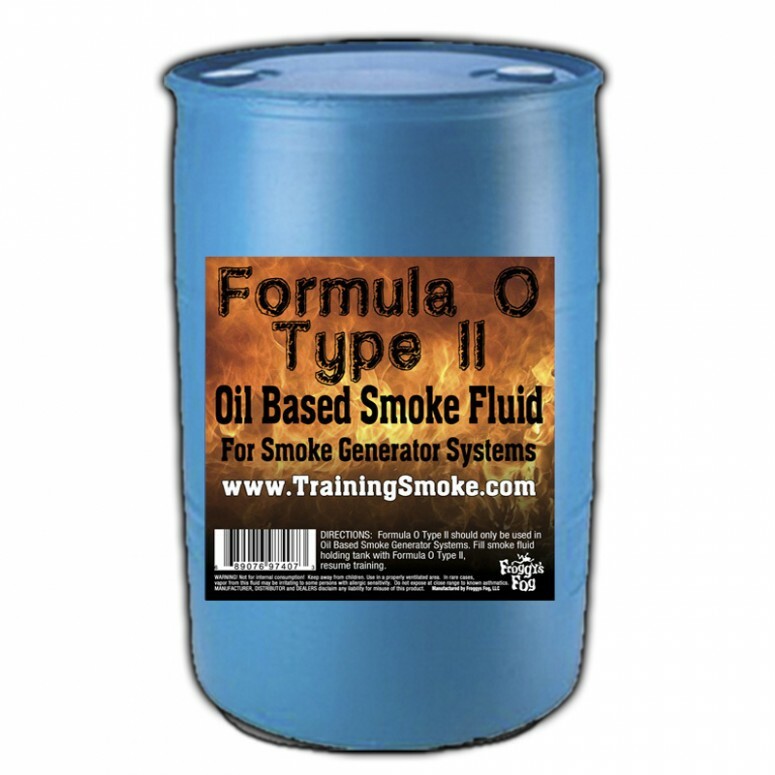 Formula O Type II Smoke Oil is heavier than Formula O and a high quality substitute for use in KFT Fire Trainer Smoke Generators, Symtron Smoke Generators and Concept Oil Based Smoke Generators. 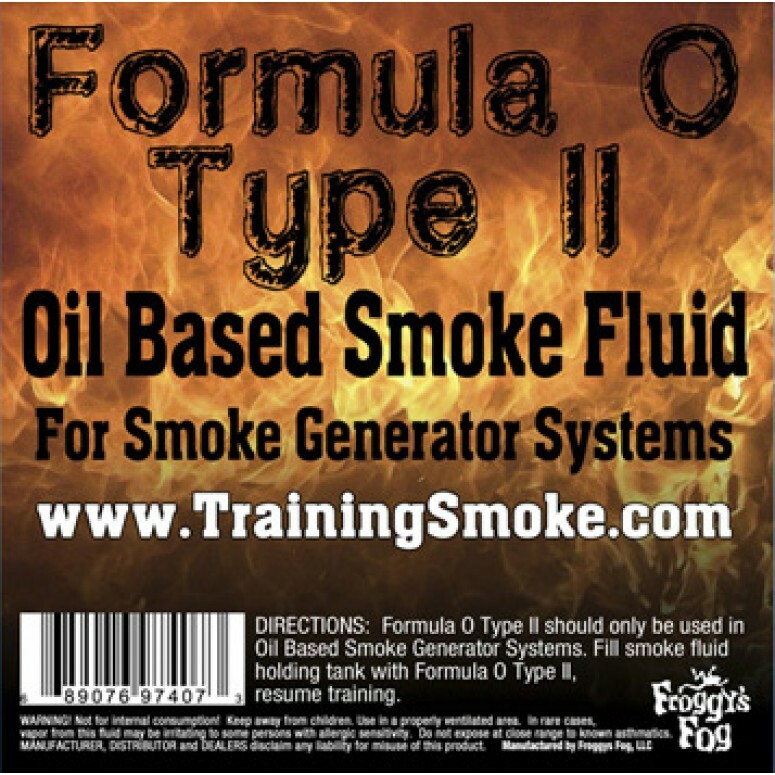 Formula O Type II Smoke Oil is heavier than Formula O and a high quality substitute for use in KFT Fire Trainer Smoke Generators, Symtron Smoke Generators and Concept Oil Based Smoke Generators. 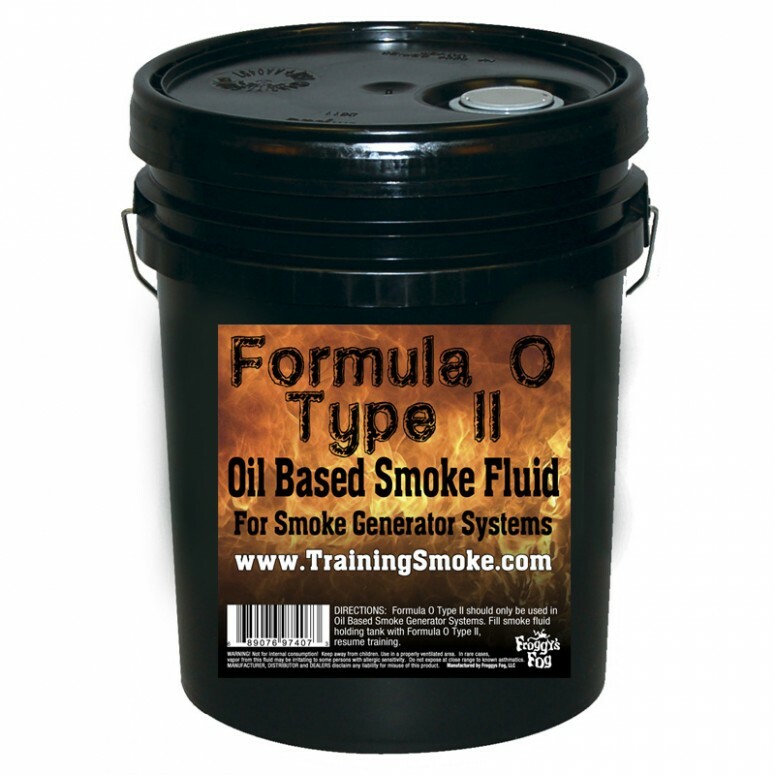 Formula O Type II Smoke Fluid is a non-toxic solution that produces a long lasting, low moisture fog which is perfect for high heat training environments. Formula O Type II Smoke Fluid is colorless, odorless, non-flammable and leaves no residues or contamination. All of our fluids comply with the strictest health and safety regulations, and are formulated to extend the life-span of your smoke generator. 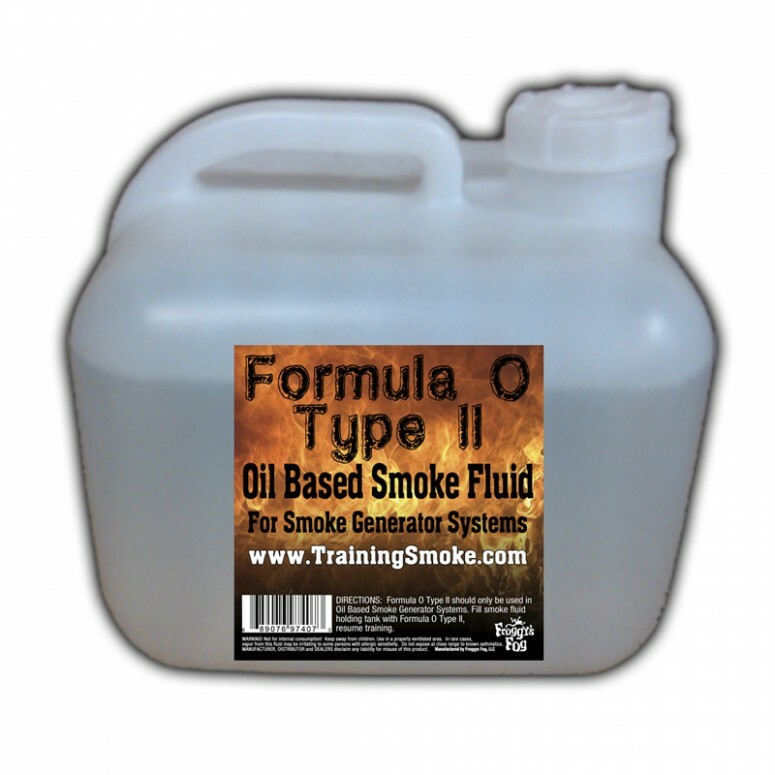 Formula O Type II Smoke Fluid will produce the perfect effect for your training needs. It is made from the highest quality pharmaceutical grade chemicals and with the amazing results you will see from this fluid. Formula O Type II Smoke Fluid is the perfect alternative to high priced retail and OEM smoke fluids.